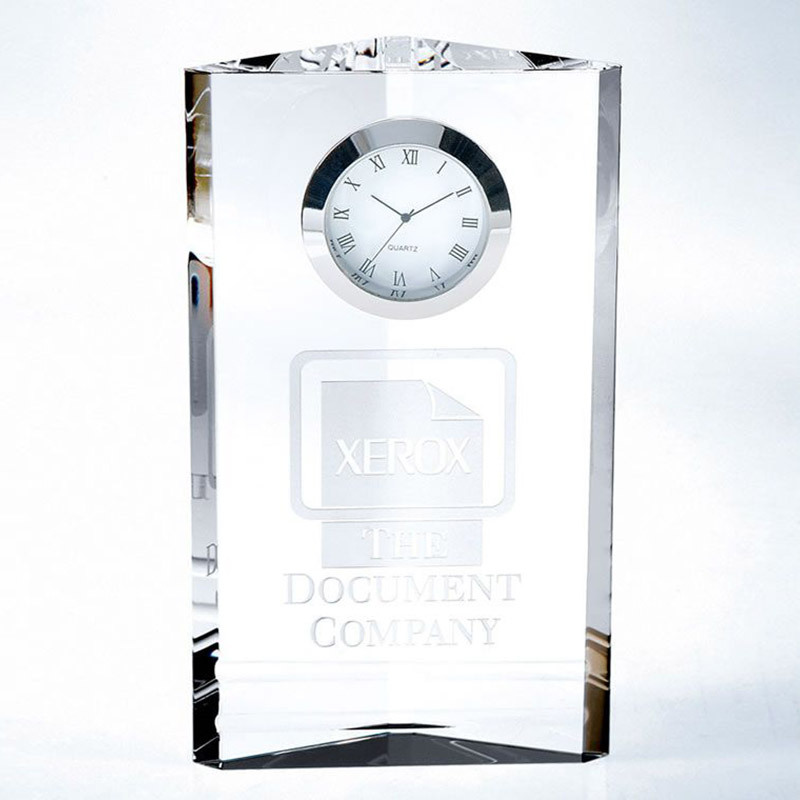 These superb presentation clocks are crafted in flawless optical crystal and boast a contemporary design with a triangular column shape. They stand 7in tall and are hand polished with bevelled edges. The clocks can be engraved on the flat front of the tower.